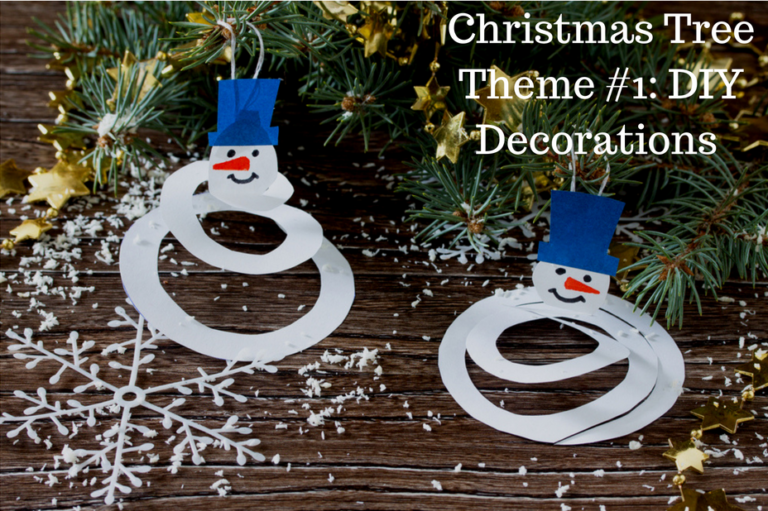 #1 Do-It-Yourself Theme: Decorate your Christmas tree with ornaments you made yourself. Have kids? Get them involved with creating ornaments as well! 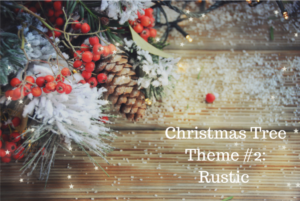 #2: Rustic Christmas Tree Theme: Gather up some pine cones, fake berries, and burlap ribbon to create a rustic look. #3. 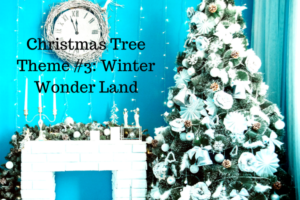 Winter Wonder Land Christmas Tree Theme: Decorate your tree with all white ornaments: snowflakes, bells, birds, and more! 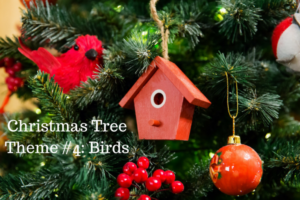 #4: A Bird-Lovers Theme: Incorporate birdhouses, birds, and fake berries for this holiday tree theme. 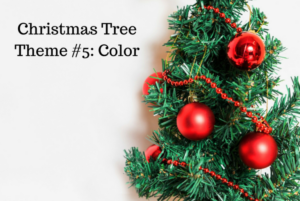 #5: Color Theme: Pick your favorite color, and then find ornaments and decorations in that color.